Good evening/morning! I just spent the most amazing 12 hours with Erin & Philip along with their friends and family for an encore of their love story – “Romance Defined.” You may remember the signature beautiful, artistic and romantic portraits we did with them in London UK for their Engagement Shoot back in April and today was the icing on the cake for the beginning of their new lives together. Today started out at The Queen Mary in downtown Long Beach as the Erin & her ladies in waiting were getting ready in her bridal suite. There was no shortage of laughs and good times as we all took care of the finishing touches for everyone. Once all the ladies looked as if we were heading to a royal ball in Wales, we headed to Loyola Marymount to meet with Philip in his full dress uniform (Philip is a Captain and Pilot for the Irish Air Force) with his best men. 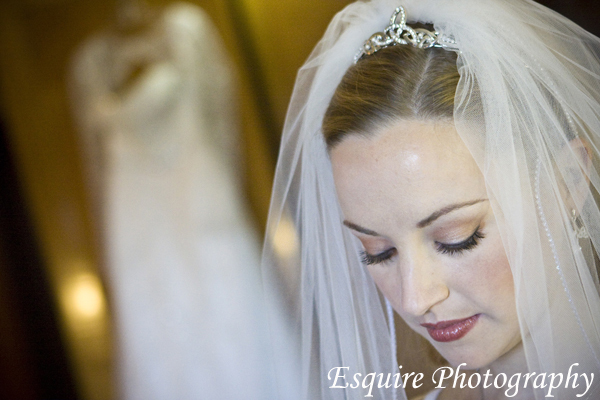 Erin & Philip’s ceremony was heavenly and there weren’t many dry eyes in the church as Erin came down the aisle. After the ceremony, we were able to do more of our signature artistic and romantic portraits with a touch of traditionalism to give their portraits a timeless look they can look back on over the years. The minute we were done with all the portraits, Erin & Philip headed out of the church for an Honour Guard procession, into a 37 Packard and they were whisked away for a romantic and scenic drive back to the Queen Mary where everyone was getting ready for the P A R T Y. The reception was wonderful as Tim from DJ’s To Go spun the grand swinging music of yesteryear & the “new flavour for your ears” of today’s modern music aficionado. 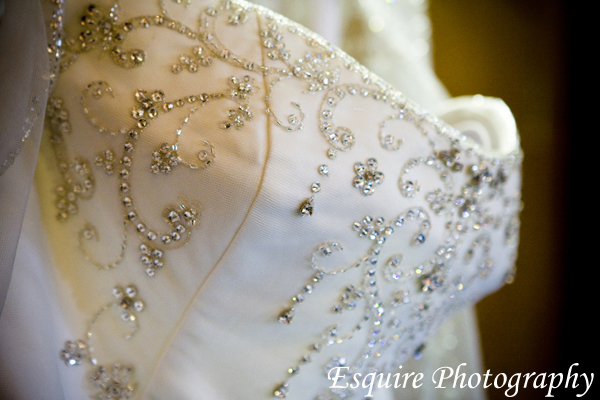 Erin & Philip’s evening was topped off with our moon-lit, night-romantic photoshoot on the deck of the Queen Mary. 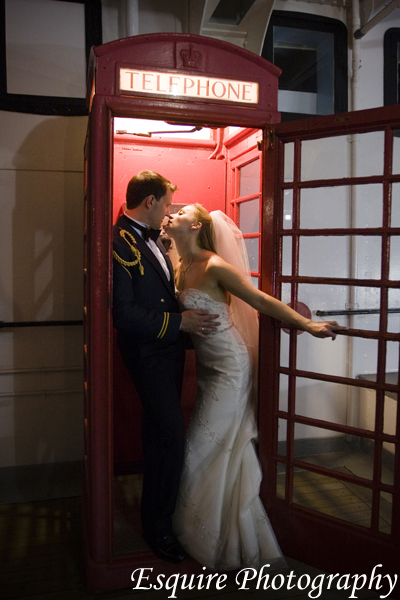 There was even a phone booth from London too! Imagine that! Working with Erin & Philip has been a vision of inspiration that was perfectly orchestrated with fierce and frightening levels of beauty and creativity that we all were pleased with.Here are some of my favourites from their magical day. I hope you enjoy them as much as I did photographing them – cheers!